Elisseeff in the lab with biomedical engineering master’s student Alexis Parrillo. A few years ago, biomedical engineer Jennifer Elisseeff, of the Wilmer Eye Institute, was amid her latest research project when she happened on something she did not expect. She specializes in engineered biomaterials, a broad class of designer synthetic fibers, gels and other materials that can replace, repair and, in some cases, regenerate human tissues that have been damaged by injury, disease or genetic defect. Elisseeff’s surprise that day was not in a new combination of materials that worked better than those that went before, nor was it some heretofore untested technique. Instead, what she found in her experiments was that after implanting a new gel she was working on, it became surrounded by immune cells. She would eventually learn that they were T cells, a sort of conductor of the immune response. “We were surprised that T cells could even respond to a synthetic material,” Elisseeff says now. Most people know immune cells as the first responders to trauma—killing bacteria, fungi, viruses and other invaders—but there is a hidden side, as well. Immune cells also repair the body. They are both killers and healers. For a biomedical engineer keenly interested in regeneration, the finding was intriguing. “It hit me that these immune cells might be some sort of early regulatory response for things that happen later in the regeneration process, like the mobilization of stem cells or encouraging new blood vessels to grow,” Elisseeff says. 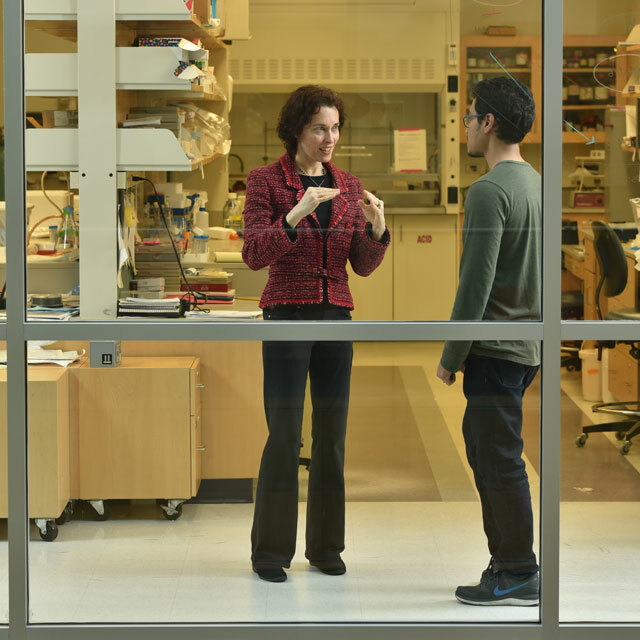 Today, years after that fateful encounter in the lab, Elisseeff’s unexpected find has altered the trajectory of her research career—and it continues to ripple through the field of regenerative medicine. As with so many things in medical research, a surprising find raised more questions than it answered. It was not long before Elisseeff—an engineer by training, who came to ophthalmology thanks to her groundbreaking biomaterials that repair damaged corneas—was off to Switzerland in 2013 for a six-month sabbatical in the altogether-new-to-her discipline of immunology. Upon concluding her crash course, Elisseeff returned to Baltimore where she was named co-chair of a task force to speed the transfer of technology out of university labs and into commercialization. Her fellow co-chair, by complete coincidence, was Drew Pardoll, one of the leading cancer immunologists in the world. Pardoll is an expert in how cancer cells block immune cells that would otherwise kill them and how, in turn, those same immune mechanisms can be turned around to fight cancer. A deep conversation ensued. 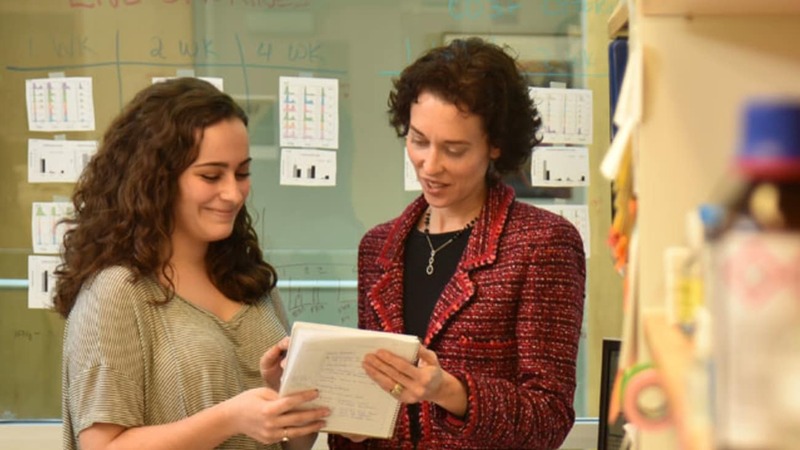 To this budding collaboration, Pardoll and his team brought a vast understanding of the nuances of immunology and a lab filled with sophisticated research equipment, both things Elisseeff would need for her research. Pardoll would soon co-found and become the first director of the in 2016. A professional partnership blossomed. “I’d traveled to Switzerland only to learn upon returning that several of the world’s leading immunologists were, literally, right next door to my office,” Elisseeff says. Pardoll says the credit for developing the idea that the immune system might be an important and underexplored opportunity in regenerative medicine belongs to Elisseeff. “She even coined the term ‘regenerative immunology,’ which is now being widely used … without attribution, I might add,” Pardoll says with a smile. The immune system, Pardoll explains, is a marvel. White blood cells flow out of the bone marrow into the bloodstream where they wander, scavenging for foreign bodies that would otherwise harm or even kill their human host. When they find something awry, the immune system kicks into action. If there is a trauma—a wound or an infection—almost immediately white blood cells appear at the site. They begin to dispatch yet other cells, known as macrophages, to kill bacteria and remove cellular debris. Soon, however, a second type of macrophage arrives and begins to close the wound and commence healing. The colorful etymology of the word macrophage could be partly to blame for the confusion between the macrophage’s double identity as both killer and healer. In Latin, it means “big eater,” focusing on the better-known defensive half of the immune system’s nature. A proliferation of immune cells collects at the wound site forming a yellow-white pus. Often, there is inflammation, some redness and pain. Eventually, the wound closes. A scab forms, but it too sloughs away with time. A month or two later, Pardoll says, the wound is unrecognizable. The tissue has filled in. It looks new again. Which macrophages appear, in what numbers, and when they transition from killing to healing involves a complex biochemical dance choreographed, for the most part, by T cells. There are many types of T cells. In this case, the key players are T helper cells numbers 1 and 2. T helper 1 cells largely control defensive macrophages. T helper 2 cells conjure the healers. They are cells Pardoll knows well from his cancer studies. In 2013, the same year of Elisseeff’s sabbatical, a measure of proof confirming they were on the right track came from an unlikeliest of creatures: the oddly endearing Mexican salamander called the axolotl. The axolotl can regenerate lost limbs, portions of its heart and eyes, and even sections of its brain and spinal cord, good as new. That year, an Australian researcher disabled the macrophages at the nub of an axolotl’s missing limb and the limb refused to regenerate. When he restored the immune cells, the limb began to grow anew. The immune system was clearly influencing, if not outright conducting, the regeneration. Elisseeff is the first to say she is not an immunologist. She came to the field in a roundabout fashion. Her specialty is biomaterials, a broad array of synthetic and natural materials that can be implanted in the body to mimic the function of damaged or missing tissue. Almost all human tissues are potential areas of interest for biomaterials. Artificial corneas, fibrous meshes, electrospun nanofibers, soft contact lenses, and, lately, even 3D printed tissues are but a few examples of today’s vast panoply of promising biomaterials. At the time she made her T cell discovery, Elisseeff was working on an injectable gel to fill soft-tissue injuries like those sustained in car accidents or in battle. The material Elisseeff was working on was derived from natural fatty tissue. The goal was to simply fill in the damaged area. While replacing damaged tissue is impressive—especially for someone with a facial trauma—the holy grail is to get the surrounding tissue to regenerate within the biomaterial. Many human tissues regenerate on their own—the liver, for instance—but other tissues lack such abilities. The cornea and cartilage are two prime examples. It is on these nonregenerative tissues that Elisseeff focused much of her early work. She has restored cartilage to arthritic knees. She has replaced bone. She has designed materials to repair damaged corneas. “The instigator of the sabbatical was the presence of T cells around a synthetic gel, but the material itself was not pro-regenerative. It was just a wrinkle-filler. We’re now using the T-cell discovery to create biological scaffolds that actually encourage regeneration,” she says. There are almost as many biomaterials as there are types of tissue in the body. She likens it to a biological toolbox with which she creates design-driven materials for specific clinical problems and to meet the challenges of delivering those materials to the site of the trauma. Oliver Schein is an ophthalmologist and a colleague of Elisseeff’s at Wilmer. The two have collaborated frequently over the last 15 or so years to create biomaterials that mimic the various layers of the cornea. The innermost layer, called the stroma, is composed of long fibrils of collagen, a connective tissue found throughout the body, particularly in the ligaments and skin where it provides structure and elasticity. Unfortunately, when injury or infection damages the stroma it causes an immune response that disrupts the perfect collagen structure, leaving behind opaque scar tissue. If extensive enough, the scarring can cost the patient sight in the afflicted eye. Better biomaterials based on a knowledge of immunology, Elisseeff says, could become a powerful tool for directing successful cornea repair and reducing the fibrous scarring so detrimental to vision. “With immunology, we’re looking earlier in the healing process to create that better environment to enhance stem cell survival after migration or implantation,” Elisseeff says. Efforts to engineer synthetic human tissues go back centuries, if not further. Wood and bone have long been used to replace lost teeth, for instance. Only with recent advances in cell biology and the advent of stem cells has regeneration become a possibility. For much of her career Elisseeff focused largely on the mesh-like scaffolding that provides a sort of substructure for cells, helping them to proliferate and form new tissue. In regeneration, surrounding healthy tissue and stem cells will migrate into, take root and, ideally, thrive in this welcoming biomatrix, as she calls the mesh. Migration is not the only regenerative strategy. Another involves harvesting stem cells or even fully differentiated tissue cells from the patient or a donor, culturing them in the lab, and supplying them into the biomaterial scaffolding. Despite high aspirations, however, the promise of stem cell therapies in regenerative medicine has fallen short of the target. Injecting stem cells into biomaterials has had only limited success, because, Elisseeff believes, such therapies target processes that fall too late in the healing process—when a suitable immunological environment has not developed for the cells to grow. “We’ve seen stem cells get injected and they just disappear. With immunology, we’re looking earlier in the healing process to create that better environment to enhance stem cell survival after migration or implantation,” Elisseeff says. Accordingly, biomaterials that were once thought of merely as physical infrastructure have evolved to a point where antigens and other biological cues can be incorporated into the materials themselves to influence cellular function and promote regeneration. The goal now is to turn this emerging knowledge into new biomaterials and regenerative therapies. 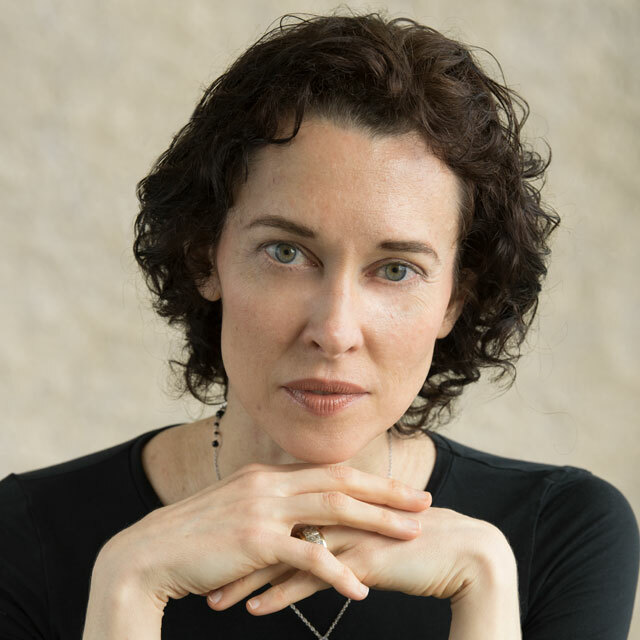 Elisseeff says the connection between wound healing and tissue regeneration should be thought of as a sort of delicate choreography. If there is a prima ballerina in this dance, it is the T helper 2 cell. In 2016, Elisseeff and Pardoll published a paper in Science showing how biomaterials can be engineered to maximize the presence of T helper 2 cells to encourage the regeneration of functional muscle in lab animals. They showed that T helper 2 cells not only promote the growth of new muscle cells within the biomatrix, but might also coax new blood vessels into the tissue to supply oxygen and nutrients to the newly regrown tissues. “The hope is that, through better engineered biomaterials, we can manipulate and leverage the immune system’s pro-regenerative responses to repair tissue,” Elisseeff says. As with all things biological, however, things are never quite as simple as they seem. The distinction between killing macrophages and healing macrophages is not binary. The challenge is not as easy as turning the killers off and turning the healers on. First off, macrophages can differentiate without the help of T cells, but the research of Elisseeff and Pardoll indicates that the relative abundance of T helper 1 and T helper 2 cells can greatly enhance which type of macrophage—killer or healer—is present. More importantly, the researchers showed that in the absence of T helper 2 cells, macrophages lose their pro-regenerative abilities altogether. It is clear: T helper 2 is a key player in tissue repair. Beyond the complications of simply understanding the immune responses, Elisseeff believes that regenerative processes are likely tissue dependent, as well. A regenerative therapy that works perfectly in skin might fail in the eye, bone or muscle. Researchers might, therefore, have to develop tissue-specific immunotherapies. Clearly, more research awaits. The next steps for Elisseeff and Pardoll involve gaining a deeper understanding of the nuances of T helper 2 cells. Pardoll would like to find out what it is about biomaterials that encourage the T helper 2 response and to find ways to achieve even higher responses within the biomaterials. One exciting finding, he says, is that the biomaterials perform much of this healing response on their own. Another tack involves looking to nature for inspiration. T helper 2 response evolved in humans largely to battle parasitic worms. The team is extracting specific antigens from nature and incorporating them directly into biomaterials to inspire greater T helper 2 response. A third research avenue—one that Pardoll describes as “way out”—is to extract T helper 2 cells from the patient, culture them in the lab, and inject them back into the body. Overall, Elisseeff characterizes the emergence of immunology in regenerative medicine as a paradigm shift. Fortunately, the infrastructure for pursuing these immunology research pathways is already in place after years of work in cancer and other diseases. 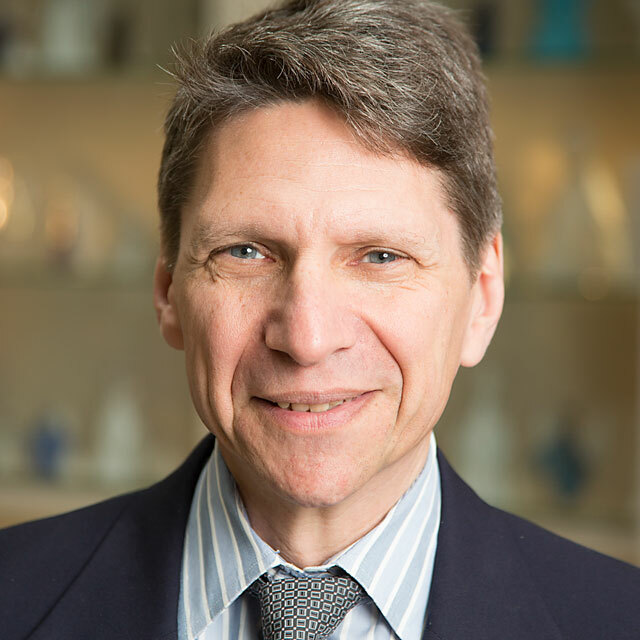 One eminent researcher who sees great potential in the work is Robert Langer, a professor of biomedical engineering at MIT and the man who shares credit for founding the biomaterials field in the 1980s. “This is very important work that extends our understanding of biomaterials in new and promising directions. It should have deep implications on both research and clinical therapies,” Langer says. “I think immunotherapies might even prove more important in regenerative medicine than [in] cancer. It’s very exciting stuff,” Pardoll adds. Meanwhile, Elisseeff cautions against undue enthusiasm. Many new research directions never pan out, she warns, and most biomaterials never translate to the clinic. To improve the chances of success, however, she would like to evolve away from trial-and-error development by integrating big data into materials design, modeling of cell and tissue responses, and the incorporation of lessons from the clinic. She might also like to extend the field into diseases associated with tissue degeneration and aging. In the end, she says, the biggest lessons so far are to always heed biology and resist the urge to overengineer.